While the brave actions of tribal activists rocketed tribal issues into the 21st Century during the Standing Rock protests, the people of the Oceti Sakowin Oyate, whether they might be, have never been utterly silenced. Only Western media and academics may have thought so, while all along our own storytellers, writers, teachers and academics, journalists and more were telling our own stories to each other. One of the fundamentally important things, in this age of sometimes isolated reservation communities and those who changed location during urban resettlement programs or for economic and educational reasons, is to come together at a common time and place to share new stories and re-tell the old. The Oak Lake Writers Society is made up of members of all three dialects and branches, Dakota, Lakota and Nakota, and thereby gives an unique and strong witness to the mutual wisdom of the Oceti Sakowin Oyate. 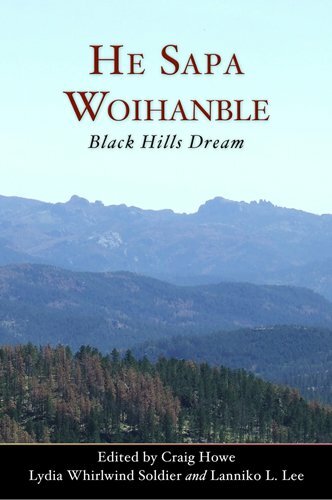 We have worked on several projects over the years, but our two main books are "This Stretch of the River" and "He Sapa Woihanble: Black Hills Dream." "He Sapa Woihanble" is available through the publisher, Living Justice Press, via their website or Amazon (see link below). 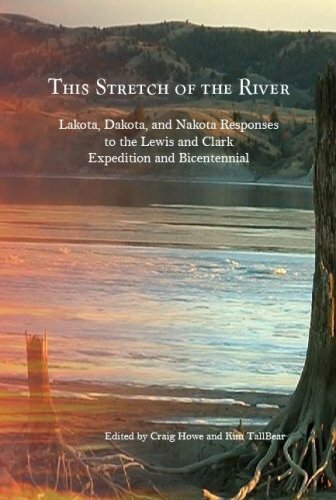 As of December 2018, “This Stretch of the River,” cannot be bought from us on Amazon. (Though you might find a few other sellers selling it there.) This book is now basically out-of-print. The OLW Society is currently considering a second printing. For information on purchasing bulk quantities of these titles for use in classrooms, book clubs or bookstores, please contact us.